On the first, eleventh, and twenty first of each month I begin a Novena. 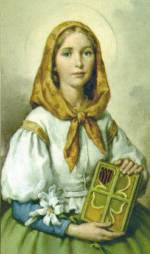 Today I started a Novena to St. Dymphna. She is the patroness of those afflicted with mental and nervous disorders. Won't you join me?